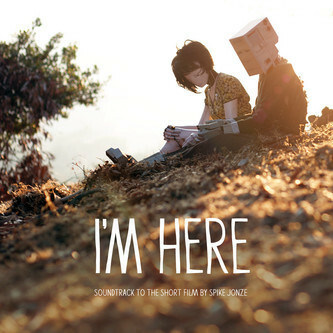 I'm Here is a thirty-minute film by Spike Jonze - a love story about two robots living in LA. The soundtrack is every bit as notable as the film itself, featuring not only original music by Sam Spiegel, but song contributions from emergent talents like Aska Matsumiya and well-established acts like Animal Collective, Of Montreal, Girls and Gui Boratto. There's really not a dud moment on here, and even if you already know what AC's 'Did You See The Words' or Girls' 'Hellhole Ratrace' sound like, they're still welcome here alongside awesome cuts like Sleigh Bells' mighty 'A/B Machines' and the motorik 'The Past Is A Grotesque Animal' from Of Montreal.